HTC finally took the wrappers off of its debut wearable at MWC, ending months of speculation of what wrist-based form factor the Taiwanese company would be launching. The answer is a fitness band, rather than a smartwatch, with the HTC Grip set to take on the likes of the Fitbit Charge HR and the Microsoft Band in the activity tracking market. Here's everything we know about the upcoming HTC Grip - we'll have an in-depth review as soon as we can. 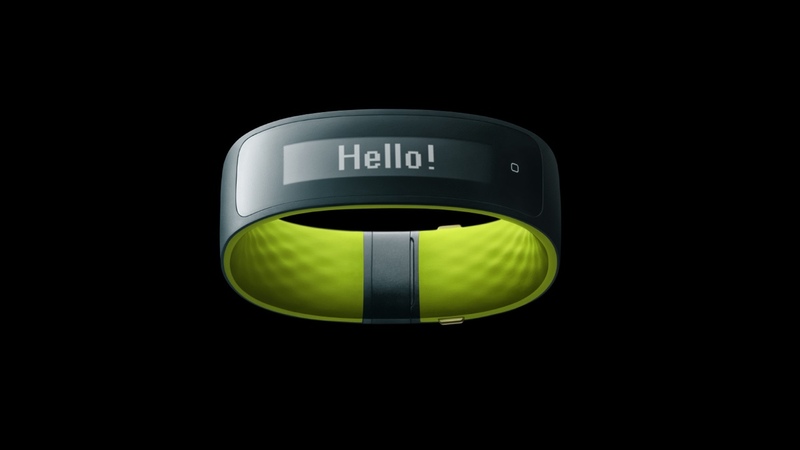 In terms of design the HTC Grip is very Nike Fuelband-esque; largely thanks to that two tone black ("Deep Teal") and lime colour choice. HTC says it is made from a breathable, soft touch material that's comfortable to wear. It's a solid clasp system that comes in three sizes, all of which can be altered using the additional links that you'll find in the box. We've not been given the exact weight or dimensions yet but we'll update this when we have them. It trumps its Nike lookalike though by packing a curved 1.8in 32 x 160 (90ppi) PMOLED touchscreen display that will not only keep you up to date with your fitness stats, but will also provide smartphone notifications such as texts, emails, incoming calls and calendar alerts. It's not the sharpest resolution - the similarly sized Samsung Gear Fit's curved 1.84in display is a 128 x 432 though it has to said it performed better as a smartwatch alerts wearable than a fitness device in our testing. Plus it's monochrome, no doubt to keep everything nice and low power. You can also control your smartphone's music from the Grip's display but, unlike Android Wear, you can't actually store your tunes directly on the device. Still, it works with both iOS and Android so if you switch your phone, you don't have to switch your wearable. Like the Microsoft Band, the HTC Grip packs GPS connectivity meaning accurate run tracking. The likes of the Fitbit Charge and the Garmin Vivosmart lack GPS smarts so already HTC is stealing a march on some of its new rivals. This is likely to be the reason you'll be interested in the HTC over its competition and why the price is pretty steep for a smartband at $199. Another key feature is the fruition of the partnership HTC and Under Armour announced back at CES. The HTC Grip taps into the ever-popular Under Armour Record app (iOS and Android) and the device itself even features the app's branding. The focus is on running, cycling and gym workouts and you will be able to set and change goals for speed, distance and calories burned. Activities and goals can be shared via social networks, as usual. There's also sleep tracking which makes sense as a soft smartband is a better bed companion than a chunky smartwatch. On the fitness tracking front the HTC Grip packs a gyroscope and an accelerometer and offers the usual step, calorie and sleep counting functions. As stated, with GPS the run tracking should be spot-on but if you're more of a treadmill runner, you should get some pretty useful stats using the Grip's multi-sport mode. Serious runners will also be pleased that the Grip features Bluetooth smart connectivity. So while there's no on board heart rate monitoring – as with the Fitbit Charge HR, the Fitbit Surge and the Basis Peak – you can team it up with a separate heart rate monitor for bpm training. The HTC Grip is IP57 dust and water resistant rated, not the highest rating we've seen on a tracker but it's immersible in 1m of water for up to 30 minutes. We're told to expect a battery life of 2-3 days without GPS from the 100mAh unit. That drops to around 5 hours with GPS switched on but hey, that's enough for even a slow marathon. We'll verify these battery life claims in our full review. Launching in spring, the HTC Grip is US-only for now and will cost $199. That puts it higher than say the £120/$149 Fitbit Charge HR but for many the built-in GPS will be worth the extra money. We'll update this guide with UK and Europe pricing and release date details when we get them.